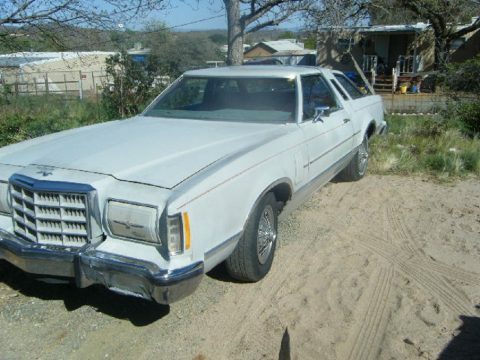 1979 Ford Thunderbird with 302-2v V8 140hp 2 door hardtop. New brake master cylinder, new radiator and good tires. This car runs good with no smoking out the exhaust but could use a tune-up. 90,334 original miles. VIN # 9J87F216114. Car has light surface rust on passenger door. This car can be used for a daily driver or a project car. Interior is red and has some wear but new floor mats will cover most of the wear. This is a very smooooooth ride. For more information please call Rick @ 928.499.1720.